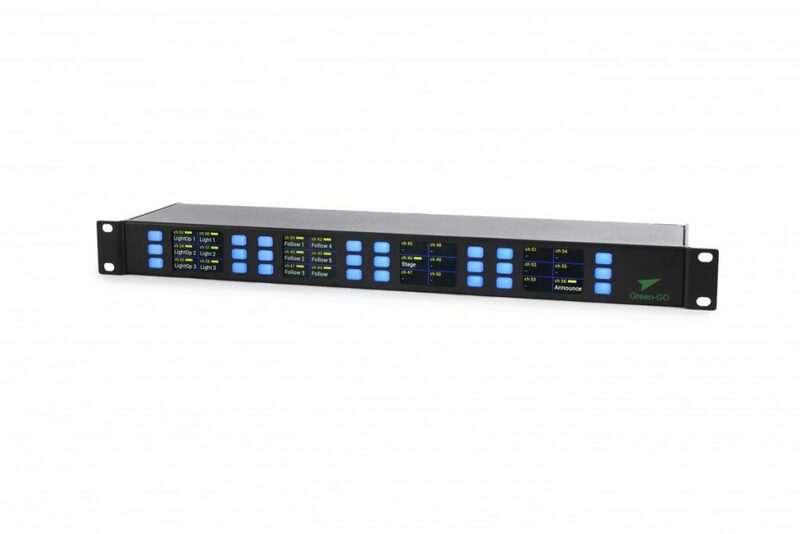 The Green-GO Multi-Channel Rack Extension is an additon to the Multi-Channel Rack or Desk Station and provides direct access to 24 extra separate users or groups through individual multicolour push-buttons. Each button can be assigned to a single user or a group. Four colour TFT touchscreens indicate the name, volume level and status of the channels. The push-buttons next to the touchscreens are used to control the operational features for each channel (‘Talk’, ‘Listen’, ‘Call’ or ‘Cue’ – depending on which function is selected). 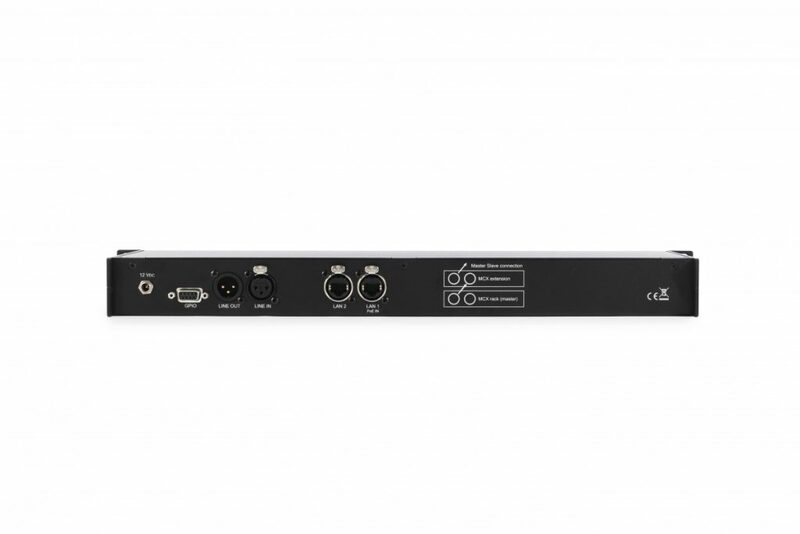 The Green-GO Multi-Channel Rack Extension operates as a slave device to the MCX. Up to 9 Green-GO Multi-Channel Rack Extensions can be daisy-chained to one MCX master.